Cleveland police have issued an aggravated murder warrant for a man accused of shooting and killing another man on E. 93rd St. in Cleveland and posting the video on Facebook. 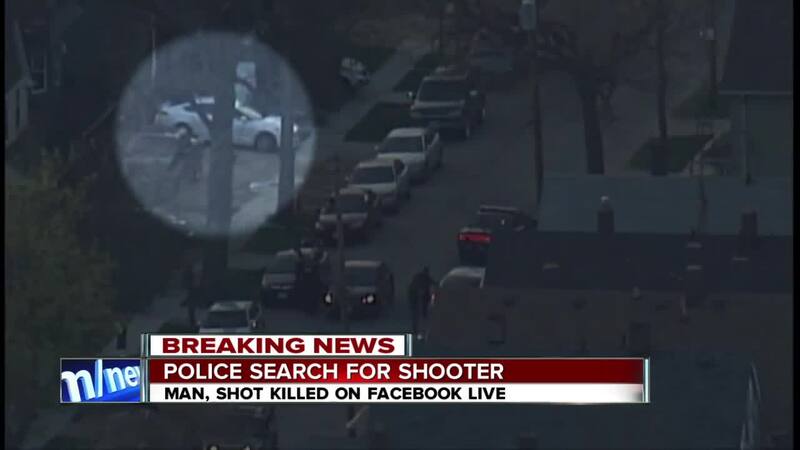 The video of the shooting was not broadcast live, as police originally reported. It was recorded and then uploaded to Facebook by Stephens, according to a Facebook spokesperson. In a statement, the spokesperson said the shooting was a "horrific crime." The shooting happened on Easter Sunday around 2 p.m. The suspect, Steve Stephens, also claimed to have committed multiple other homicides. That information has not been verified by police. 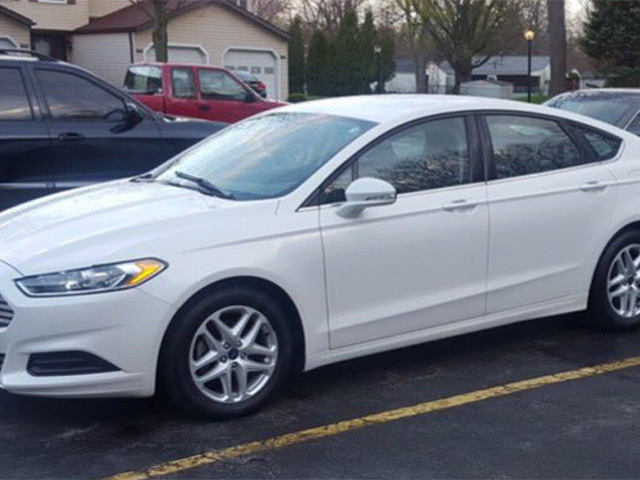 Police said Sunday night Stephens may have now left the state and they are warning residents of Pennsylvania, Indiana, Michigan and New York to be on alert. 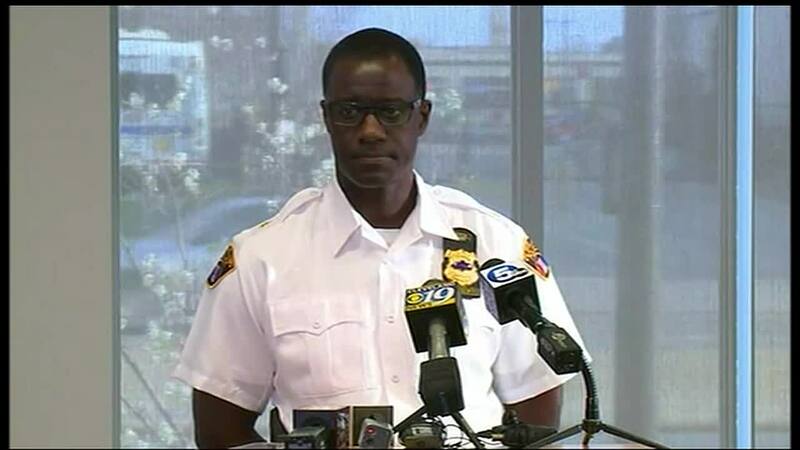 Watch the latest news conference from Cleveland police in the media player above. Stephens shot and killed 74-year-old Robert Godwin Sr. Sunday on East 93rd Street. According to Stephens' arrest warrant, Godwin was "simply walking down the street collecting cans" when he was shot. News 5 obtained the videos before Stephens' Facebook page was deactivated. Stephens began filming one of the videos while sitting in his car. After he spotted the man he's accused of killing, he said: "I found somebody I am about to kill. I’m about to kill this old dude." In the video, Stephens says a woman is the motive behind the shooting. In between videos, Stephens posted other updates, saying "This sh** is real," and "I just killed another that makes 13." During the Facebook Live, Stephens was wearing his work badge for behavioral health agency Beech Brook. "We are shocked. We learned about the incident via Facebook. We are horrified. We are hoping for a quick resolution and we hope no one else is harmed." News 5 spoke to the victim's family, who described Goodwin as a "good man." 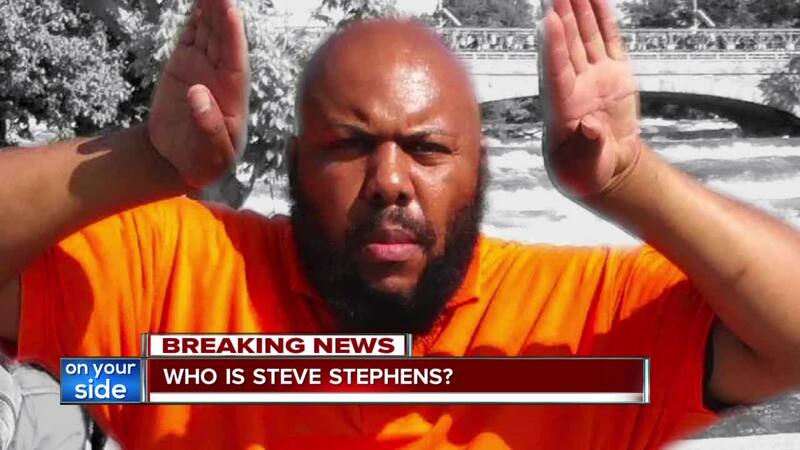 Stephens is described as being just over 6 feet tall, weighing about 244 pounds. He is bald with a full beard. The FBI is also assisting in the search. Cleveland police confirmed to News 5 Monday that Stephens had a concealed carry permit. If you see the suspect, call 911.